Two gorgeously fresh and leafy heads of baby bok choy showed up in my veggie box yesterday, and I immediately knew what was for dinner: Stirfry! 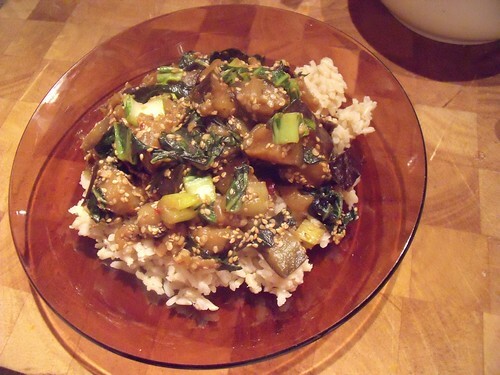 One of my all-time favourite Japanese-inspired stirfries involves ginger, garlic, eggplant and a little bit of sweetness (usually from scary refined sugar). 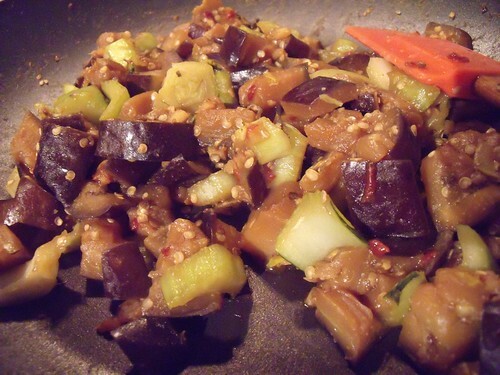 I’ve been craving this stirfry for the last couple of months (thanks to a drool-worthy post from The Grubworm), and grabbed a couple of eggplants last time I was out shopping. 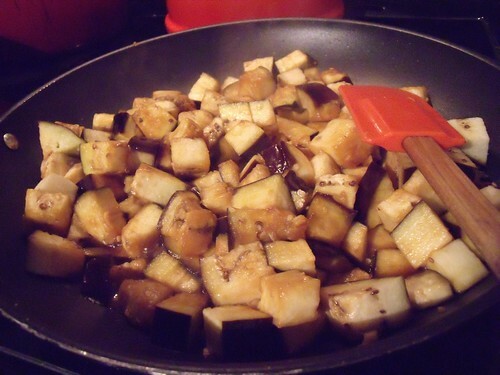 Whenever I order this eggplant dish from Asian restaurants, they fry the eggplant in a ton of oil. 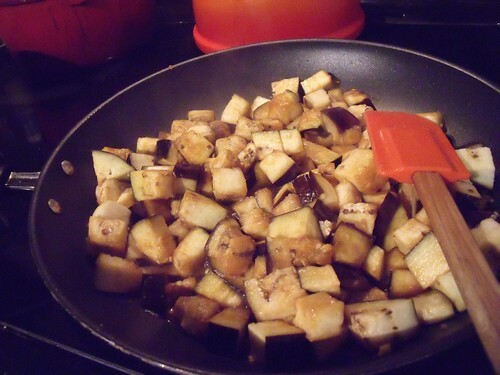 It tastes great, but I knew I could do a lighter version by stirfrying the eggplant in a touch of coconut oil and a sauce made with miso paste, tamari, rice vinegar, and honey instead of the sugar! Oooh yes, I think I even prefer this healthified version to the one from the restaurants. And bonus, I know there’s no sneaky meat in this one (why do they insist on putting pork in my eggplant?)!! I hope you enjoy it too! In a small bowl, combine miso paste with boiling water and quickly whisk well, until the miso is totally incorporated into the water. 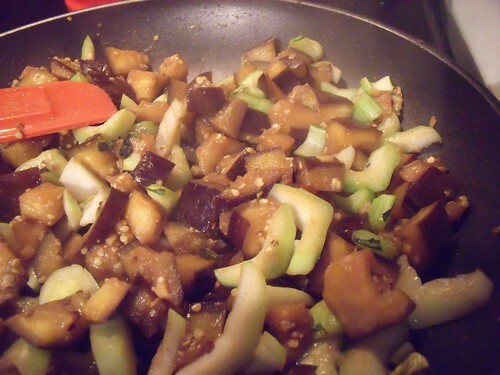 Add the tamari, rice vinegar, honey, and sesame oil, and stir well to combine. Set this sauce aside. In a large pan or wok, heat the coconut oil and stirfry the garlic over medium-high heat until it just begins to brown, about 1-2 minutes. 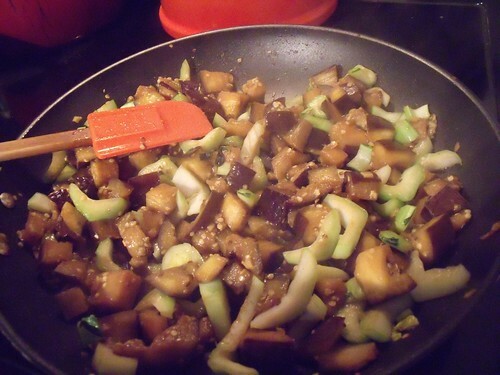 Add the eggplant and the miso sauce, and stirfry until it has softened, about 5-7 minutes. Taste a little bit just because you can. You have to make sure it’s soft, right? Yum. Add your baby bok choy stems, and stirfry until they are soft, about 2 minutes more. Add the bok choy leaves and chili garlic sauce, and continue to stirfry until the greens have just softened, about 2 minutes more. 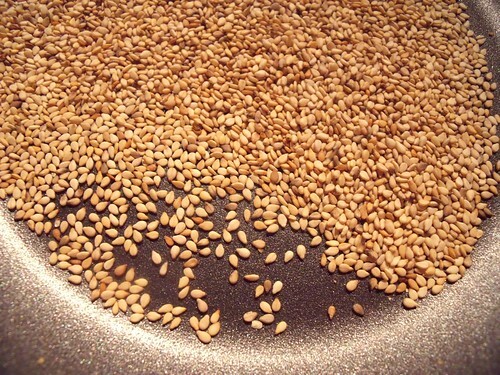 In a separate small pan over medium heat, toast the sesame seeds for 3-5 minutes,until they turn golden brown. 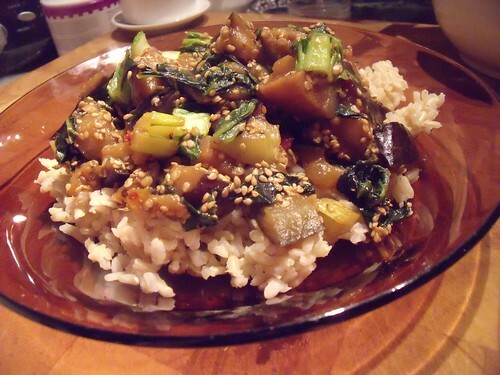 Serve the stirfry over a bed of cooked brown rice or quinoa, topped with the toasted sesame seeds! Mmm! Glad you loved it, Louise! I’m definitely doing this again this week quite happily with the other bok choy in my fridge!! Had leftover bok choy in my fridge and this is exactly the type of stir fry sauce I was looking for! I added more veggies like carrots, peppers and bean sprouts as well. Very delicious and even more nutrishious. My boyfriend and I made this tonight and it was very tasty! We added some beef-style seitan which was great in that delicious sauce! 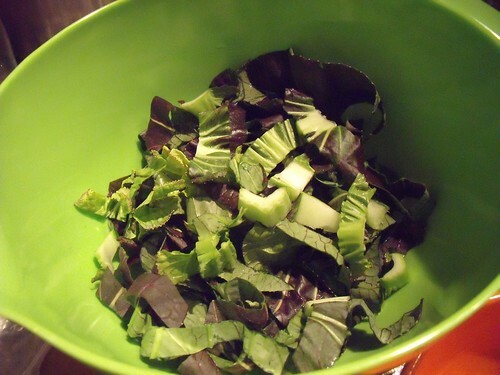 Googled the veges in my fridge and this recipe came up, it was delicious thanks!! I didn’t have the tamari, rice vinegar, or miso paste but I’m still going to try it out just to see! Any future suggestions on what I can replace this with? Not sure what you ended up using, Danny — but soy sauce subs for tamari (if you’re ok with gluten), you can use another vinegar, and try a nut butter in place of the miso paste.